After my last post which was all about the smashing I gave my shoulder, I was really not sure if I was going to be ok to ride this one or not, as riding out of the saddle was not without its pain earlier in the week, and slogging 10 times up a 25% ramp certainly would mean getting out of the saddle! Still, with a few commutes under my belt this week, and the week previous just solidly on the turbo I was feeling OK. And despite only doing around 6 hours last week on the turbo when I was off the road, it was nearly all good quality and I was pleased I managed to make myself do it. Then a Peter Hansford rider went on his own, dangled off the front for what seemed like ages, but eventually got a gap (he later bridged over to the 5, so good work from him!). Another lap passed and we were getting time gaps of 35 secs or so, I was starting to worry a bit, and I said to myself that I was going to try and get over to it on the next lap, on the main road section. Just as I was hatching my plan we tackled the hill once more, I was in the 23 and shifted down to the 25 for maximum spin, at this point my chain went over the top of the 25 and into the spokes, luckily because we were doing 6 mph no damage was caused (I will have to get busy with limit screws!) but it meant I had to get off my bike to get it sorted, the bunch were moving out of sight, so not a good time. But I felt ok at this point and was able to ride myself back on, but it meant that where I wanted to make my move I was at the back of the bunch so couldn’t. I postponed my plan for half a lap and instead went on the small incline after the decline, sprinted and got a gap, then settled in, but it was quickly obvious that though it didn’t feel like there was much of a noticeable wind in the bunch, when solo the back straight was a fair bit slower, I kept going for a few miles, but by the hill I was back in the bunch again, but I had managed to close the gap a bit, which was a minor plus. With two to go I was hoping someone would give a bit of a hand at the front, as really, as far as I could see it was only 3 or 4 of us willing to do anything to try and bring it back. One of them being me, another a private member, all the while we thought that some of the bigger teams must have had people up there as they were contributing nothing to the chase and were seemingly happy to sit in and wait for 6th from the bunch (or 12th as it actually turned turned out according to their Facebook page) so it was a bit of an odd one. Onto the bell lap and the gap now was back out to a minute, and at this point myself, Ed Ashby and Tim Wiggins of Wightlink kind of starting working together along the dual carriageway, and it upped the pace, and we stated eating into the advantage, if there were a couple more helpers we’d have caught the break. But as it was, when we were about to hit the ramp the beak were maybe 8 seconds ahead just about to go over the top. I was pretty done in from my earlier efforts but tried to stay in touch up the hill, I gave it a good go and kept going to overtake a couple of people on the flat run up to the line for 9th. So not totally a wasted day out, but still not the best day of racing for me, but as I said to Ed, we tried, and we got something out of the race, and we actually cut their gap down drastically. 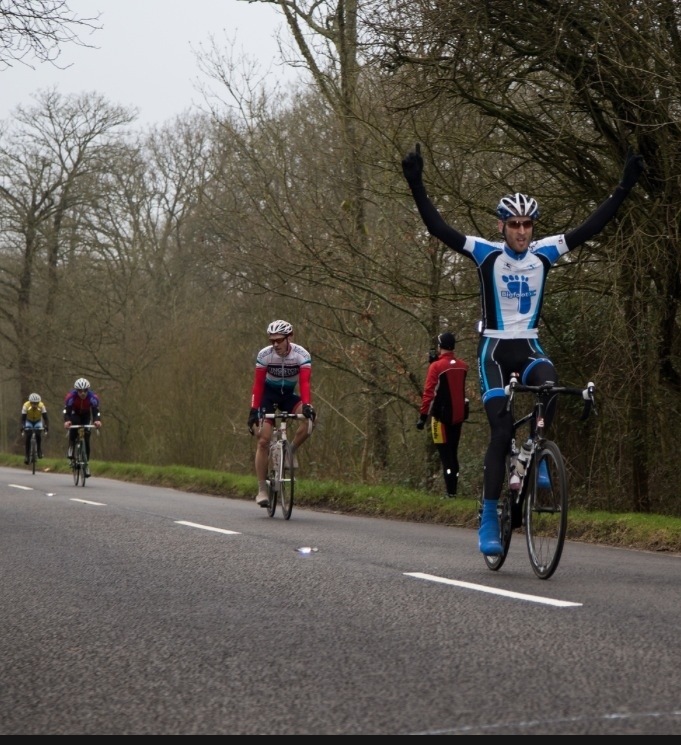 The winner was the lone rider from Lewes CC, good ride by him, followed closely by Mike Debney from Dynamo in 2nd. The numbers tell the story a bit average power was 260 with a normalized of 340 for 2 & 3/4 hours (though the hill does flatter it). 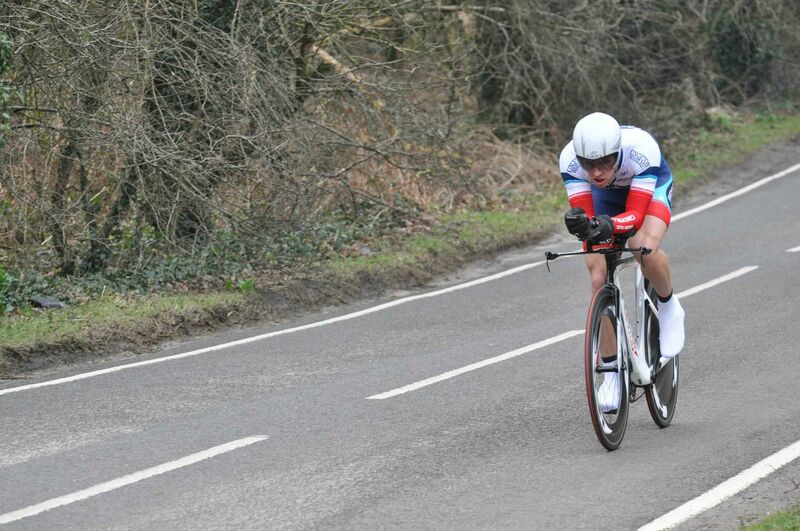 Hog Hill tomorrow and Bletchingley next week, which I am looking forward to! Bit early on in the year for this kind of post but sadly it’s true. There I was idling my way through the middle of Richmond Park when I noticed the mudguard on my commuter bike was rubbing. Being a road racer crud contraption I thought just moving the toggle down the fork a bit would solve it. Something I’ve done many times before. So trivial in fact that I thought I would just do it as I was riding along…. So as you can probably work out the next thing that happened involved spokes and my arm. Indeed before I knew what was happening my arm had been sucked into the wheel (gloves probably caught a bit of the spike and the rest followed) and I had been thrown over the bars landing hard on my shoulder on the road. My head bit the deck quite hard too, luckily m helmet did a good job on that front. I’ve lost a lot of skin from one of my fingers, managed to bit half of the inside of my cheek off, which irritatingly has now turned into a huge ulcer (pain horrific) and I have really hit my shoulder hard. I got back on the bike and did the rest of the 14 miles to work and I knew something was up, every bump or move and it felt like my shoulder was coming out of its socket and it was very painful. This was Friday morning, I managed to struggle through a turbo session on Sunday, but decided yesterday that the hospital was a good idea. Hour or two and an x ray later and I did get some positive news in that there were no breaks. But I had damaged one of my ligaments so have to spend a few days in a sling before I go back. It is all starting to feel a bit better but just pissed off with myself. Hopefully I can get back to racing soon but it certainly won’t be this weekend and I fear it may not be the one after either. After yesterday I didn’t hold out too much hope for doing a decent time on this one today. 30 miles over undulating Surrey roads in 3 deg with a pretty brisk headwind for half the circuit, oh and an 8.41 start, not what Sundays were designed for I doubt! Still, it was always going to be an interesting ride, and worst case is that its a decent 1 hour workout! There were a few known names of the domestic scene riding, Yates, Tadros, Berry (reigning champ and CR holder), Prebble, also Steve Irwin from our club, so it would certainly be a hotly contested race at the business end. Truth be told my legs actually felt ok this morning despite yesterday and the 200tss I racked up (if you buy into that kind of thing). I got warmed up, and set off for the start line. A few things were different to my last outing on the TT bike, this was perhaps foolish, I put a new saddle on last night (adamo thing) and also it was the first time riding the new position I’d set up, which was drastically different to the previous, and all I had to reassure me it was ok was a 30 min on the turbo. Still, it felt ok in my warm up, certainly more aggressive, and tighter but rideable certainly, time will tell whether I prefer it or its quicker than the more comfortable position. My minute man was Connal Yates was about to be pushed off, as it happens that was the last time I saw him until back at the HQ, not surprising give his current form! I got going and once out of the mucky lanes I felt OK, however it was then about 4 miles in that the fun and games began,first was my powermeter which got a bit of a soaking recently started acting up and just cut out for 5 minute periods which was very annoying; I was riding blind and given how much I usually rely on the power to pace these things it certainly was not the best. As I was riding I knew that perhaps I wasn’t going to produce my best power today, which was fine, however my left tricep really started to ache after about 10 miles and my right was fine, I couldn’t figure out why. Then I worked it out, every time I went over a vague hole a horrid noise sounded, what was happening was that each knock was moving the left aerobar down further and further and the noise was obviously it slipping, to boot the left elbow pad had slipped right down too (I only noticed this at the end) which meant my left arm was at a pretty horrid angle causing this ache. It wasn’t fun. I pulled the aero bar up by hand (5nm my arse trek!!!) and carried on but had to come out of the bars to stretch my arm every ow and again. It was about this point 13 or so miles that I gave up mentally to be honest, not what I normally do, but all these things added up. Headed down past our club ten turn and then turned onto the main road and I wasn’t looking forward to what was about to come – a headwind of horrid proportion and the hill into Rusper, which isn’t ideal on a TT bike 😀 given its gradient! But I got going over the top and was counting down the miles and looking forward to a tea. I actually started to feel a little better in the last couple of miles, my mood was soon turned again as a Land Rover turned out on me despite me looking like a power ranger he obviously didn’t spot me! I dug deep and even maintaining my threshold felt hard (the powermeter did come to life for the last 5 or so miles) so I knew I was unlikely to trouble the top spots today. Pulled back in and downed a coffee, Steve Berry’s winning time last year was just under 1.06, I did a short 1.11, as people came in it didn’t look too bad, but I could see people I have beaten before were taking time out of me, the big litmus test would have been Richard Prebble who raced with me yesterday and was in all the breaks I was, he eventually came in and had taken a minute out of me, which initially seemed about right given he took 20 secs from me at Redhill, but when Steve from our club came back he’d taken 50 secs from me compared to me taking 10 out of him at Redhill. However he had seemingly paced it very well and finished strong. The first proper road race of the season then. After my little warm up at Hog Hill I was confident that I was in decent enough shape for this time of year, and especially vs where I was last year! I’ve been a bit slack on actual training the last week or so, instead favoring hard commutes with a few intervals thrown in, and a bit on the turbo here and there. Part of the deal with our race is that if you do race then you are expected to marshall the other race (there is a 3rds and a 2/3 run) so I spent the morning in one of the cars as note taker for the asst comm. I must say I am actually tempted to do the exams etc and get involved with that, as following the break(s) in the car was awesome, and it was a great place to observe tactics etc from. Sadly for us London Dynamo did a number on the 3rds race with a 1,2,3 so the task was on myself and Andy Lack to restore some honor in the afternoon! Happily the rain stopped for today and actually as time went on the course started to dry out a bit. I had had a look at the start sheet to see who was who, there were many of the usual suspects, so I was aware of who and what to follow at least. But its never that simple. And with the finish of this race being a hill that you only do once its easy to get it all wrong regardless of where you find yourself on that last lap. We rolled out and got our bearings, there were some proper craters on the course, so it was good to have seen those via the car in the morning as I quite liked my Zipps! The first few laps the pace was up and down and the usual digs here and there were going. I had a chat with a couple of guys in the bunch and we were of the opinion that it was a bit early to try anything so just saved ourselves a bit for a couple of laps while others went and then came back. There was strong representation from VC Meudon today and from what I could work out they were wanting to keep it together as most things seemed to be covered by them. It was around lap 5 of 10 and I noticed a couple of the guys I usually mark having a chat and making it pretty obvious that they were about to nail it up the short hill near the finish, so I tacked on, and actually ended up sprinting straight past to get a proper gap. We quickly got a lead up, but by god it was hard work, its never easy riding in a break with only 3 people, but this felt really hard! We stayed away for a little while, but the bunch soon loomed and we sat up. It was a sign of things to come though, and my lungs appreciated a bit of a beating I think. Another lap or so passed and it was getting to that ‘now or never’ stage, and the same guys and a few others went again, this time I chose to let it grow out a bit to see what happened, it looked like a good move, and there were plenty of riders working, so instead of drag the bunch along with me I let them go up the road a bit ad then sprinted to bridge over, nobody came with me, and the gap was decent. Much shouting ensued and although it looked to be a good move, gradually the turns stopped, and people were everywhere, and obviously the bunch kicked it up a notch, I think this move lasted a little longer but once again we were brought back again. At this point the general feeling, from me at least, was that the race was going to end up as a bunch gallop, which wasn’t ideal as the hill at the end was hard to get right, had some holes, and is easy to get boxed in on! It was after this I think that I noticed Andy Lack roll through, I knew what this meant, he was going to give it a good dig, and he did just that, he got away with one other, but sadly for him not many others went with so it was always going to be tough to make that one work, and after a while out front he got brought back. We rolled round at a high pace with the bunch for a lap or so till the bell, and it was on that bell lap that the least likely move happened, same people again, and lots of others followed this one, I hesitated a bit on this one, I was of the opinion that it wasn’t gong to stick, but my opinion slowly changed as I noticed they were actually working properly and looked to be going well. Also it was at this point I thought to myself, all the known riders are in that break, if it does stick and I chose to ignore it I would be livid, so it was one last roll of the dice, I went again and had two others to help us get over, it was a hard slog but after a few mins of chasing we got over and this break had maybe 15 riders in it. Certainly had a good chance of staying clear, but we only had 1 lap to get a gap. After the initial adrenalin had worn off I remembered I’d signed up to the East Surrey Hardriders TT tomorrow – 30 miles around the hills of Surrey at 8.41AM – joy indeed. Poor on the blog front from me, had to delay this update by 48 hours as was a bit busy! This weekend was a toss up between doing another club ride, or biting the bullet and opening the seasons account with a crit at the Redbridge Cycling Center, or as its known to most people, Hog Hill. For a few reasons I opted for the race. The plan was always to treat this as a training exercise to see where I was at. I knew from the time trials I’d done (well, the one I’ve done) that I was in good shape generally, but what I haven’t trained too much on is the short efforts and recovery which are often highlights the difference between being a good tester from a good road racer so was keen to put myself to the test in that respect. 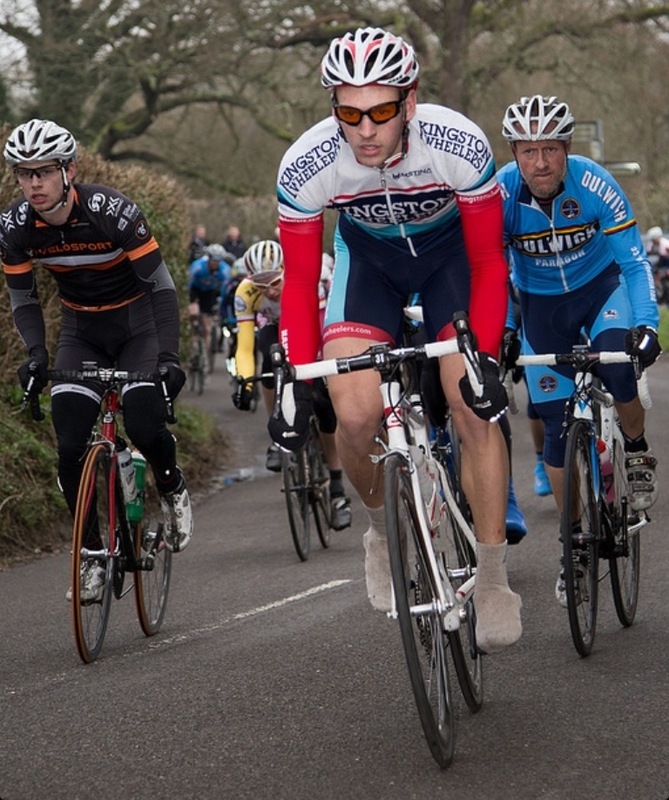 As it was not a race I particularly minded about with regards to placing etc (I always say this, and always care much more when it comes to it), I opted to ride there with a clubmate (who was racing the 4ths race before me) from Kingston, which is a 30 mile ride through London and out the other side. It didn’t feel too bad, but the seemingly endless road out of the East End through some nice and less nice areas did feel like a bit of a slog. But then as if by magic you turn off at a roundabout and you’re in the middle of nowhere again after trawling through Ilford, it was most welcome. First impressions of the circuit were good, I have not raced it before, and I was keen to try a circuit somewhat more selective than Hillingdon, and although I didn’t get to ride the track till the 4ths had finished, you could tell it was certainly selective. As I watched Aaron race the 4ths I could see how much of a toll the hill was taking on people, every lap there were people dropping out or getting spat out, it was mad. I think over 50 started and the bunch at the end was certainly less than 30. This was perfect. When it came to our turn I was keen to have a look round the track, and first thing that strikes you is how fast some of the corners are, they are mostly corners you can take flat out, but it took a few laps to get to that stage, there was one corner which was a hairpin that caught Aaron out as his pedal hit the floor as he leaned over, it later almost ended the chances of one Dynamo rider as he did the same and got away with it! The Hill isn’t too bad, but the thing that gets you is that the steepest part is right near the top, so the gear that feels fine half way up, might not feel so fine 5 seconds later! So we got going, a decent field, 40 riders maybe more, which I’m told is a lot over there, but obviously nothing on Hillingdon’s 80 strong fields at times. The pace was quite quick, but mainly because there were two downhills that you really got speed up going down, up to 40mph into fast flowing corners, good fun! About half an hour had passed and I was feeling pretty good, never out of the front few, never blowing up the hill, and never willing to do any work on the front ;-). Two riders got away for a few laps, but it was not going to last, when the bunch started working gaps came down dramatically. However with about 5 laps to go on Dynamo (James Local) escaped, and it looked like we could reel him in at any time, but a combination of things including the bunch slowing right down when we hit the ever so slight headwind before the hill meant he stayed out front, and was getting more time. I was in a good position with 2 to go, and it was one of those times where it looked like we could get him if people rode together, we hit the hill for the penultimate time and the bell lap ensued, however after the quick downhill, I think this was the slowest lap we had done around the tight corners, and it meant that he could get a gap that wasn’t coming back, a great gutsy ride by him. Coming into the hill I was in the top few, and one rider jumped, he had been fairly active all race so I followed along with a few others, and as we started going up hill there was about 8 or so riders in and around the front, I was probably 4th wheel or something. I was going well as we started to really go for it, but sadly the wheel I had picked ran out of gas about 2/3rds of the way up the hill and I had to stop pedaling pretty much for a second or so, and having looked at the data I can see I never got back on top of my gear after that, I kept grinding away, and was pulling and pulling but just wished I had another gear as my cadence was down in the low 80’s. But as a mate pointed out, you cannot change gear when you’re doing over 1000w at 85 rpm as it would have spat my chain somewhere without a doubt. I could see across to my right that I was about level with two others, I lunged for the line, and was told I’d got 4th, which initially I wasn’t too pleased with, but having thought about what happened I know how I can do better there in future, and I know how to sort it for next time, so for a first race it was a good result. Looking through the numbers I wasn’t lacking in punch up the final hill, but its those 10% drags where some of the lighter guys really have the edge, in power/weight. 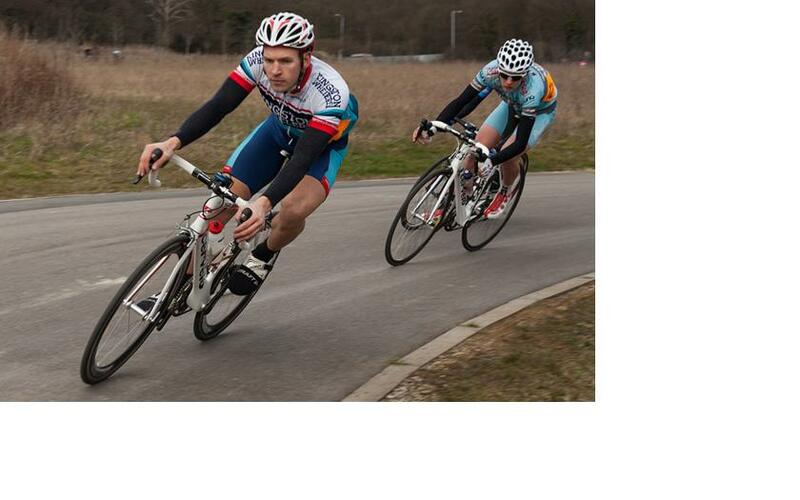 It was a nice first race at Hog Hill with a positive outcome all told. And I certainly will be back for more. Next weekend I’ve maybe foolishly signed up for our club road race on the Saturday then the East Surrey Hardriders 30 mile TT on the Sunday, so we will see how I cope with that, my hamstrings are still feeling the hard effort on Saturday, so its clear its something I’ve not done in a while! But onwards and upwards.